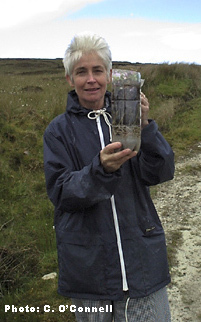 Discover Primary Science ‘Walk on Water Ecology of Bogs‘ links with the DPS Surface Tension and Bubbles activity sheet and extends it to a field study investigation of a bogland habitat. Click here you would like to watch a video programme of Allenwood National School on a Discover Primary Science visit to the Bog of Allen Nature Centre. 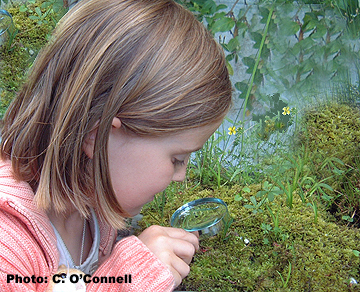 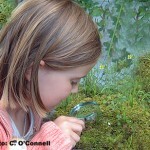 Nature Outside the Classroom – Primary Science. 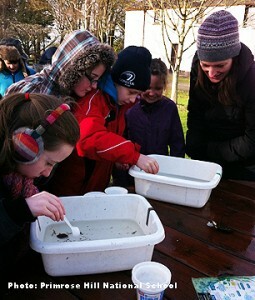 This programme includes a guided visit to the Peatland Nature Museum at our centre, a quiz and a choice of two further activities from the following list: pond dipping, woodland mini-beasts, traditional Irish cottage, nature crafts, multi-sensory earth walk, visit to Lodge Bog a conserved raised peatland and flytraps insect eating plants. Alternatively we provide visits under the Heritage and School Scheme. 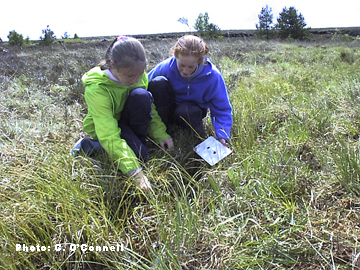 ‘Bringing Bogs into the Classroom’ offers your students an opportunity to study a peatland local to your school or indeed simply study peatlands within their classroom.